Meme: Visit Book Beginnings at Rose City Reader for other books. 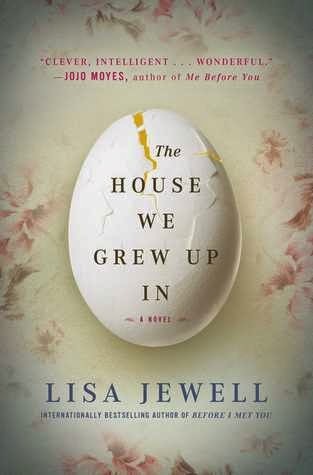 The House We Grew Up In by Lisa Jewell, published August 12, 2014; Atria Books. Genre: contemporary novel, women's fiction. The damp heat came as a shock after the chill of the air conditioning that had cooled the care for the last two hours. Meg slammed the door behind her, pushed up the sleeves of her cotton top, pulled down her sunglasses and stared at the house. Molly joined her on the pavement, and gawped from behind lime-green Ray-Bans. "Oh, my God." Important themes: extreme hoarding syndrome, personality disorder, dysfunctional family relationships, and infidelity. Lorelei made sure her husband Bill and her children Megan, Beth, and the twin bosy Rory and Rhys had an idyllic childhood, She upheld rituals, one being the Easter ritual of Easter eggs hunts, lamb dinner, wine for the adults. 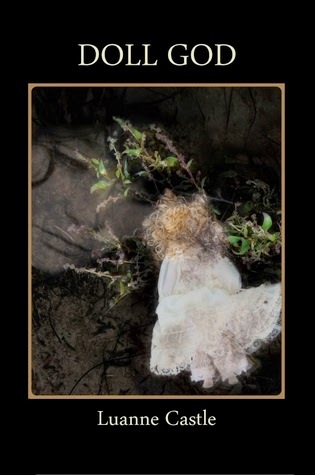 Thing were perfect but as the children grew older, Lorelei began to show the cracks in the seams of their perfect life. She became more and more of a pack rat, a hoarder who insisted on all the Easter egg shiny wrappers kept year after year, for instance, who shopped regularly for dozens of unwanted goods that were never used, and who later even began to fill the house with newspapers and books. Nothing was ever thrown away, not even when they became soiled or were falling apart. The lives of the children and her husband were also affected. And the house held a secret under all the trash that was only uncovered at the end of the book, after Lorelei's death. A secret that had affected Lorelei's life and impacted the rest of her family. I was fascinated by this story of the gradual decay of a house and a woman who succumbed to her psychological hoarding disorder, who hid her secrets and only revealed them to an unknown email friend towards the end of her life. The characters learned acceptance of their own feelings and lives and were able to live with each other's secrets and lives in the end. I thought that the novel could have been a bit shorter as I was impatient for the story to wind down and the situations be resolved somewhat sooner. I admit I flipped through some of the final pages to get to the end. Overall, an interesting read that handles difficult subjects extremely well. 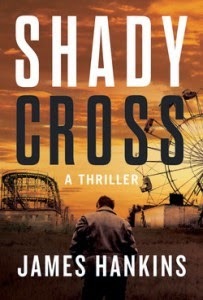 Shady Cross by James Hankins, published February 24, 2015; Thomas and Mercer. Genre: suspense, thriller. My comments: Small time crook Tom Stokes gets into big trouble when his motorcycle causes an accident on a deserted stretch of road. An oncoming car swerves to avoid Tom's motorcycle and goes off the road, smashing against a tree and killing its driver. The driver is definitely dead, but Tom is surprised to find $350,000 in cash in the car. The money will solve his biggest problem - a loan shark sending toughs to recover their money from Tom. Tom's about to take off with the cash until he answers the dead man's cell phone and hears the tiny, scared voice of a child asking her father to hurry to ransom her from her threatening kidnappers. Tom decides against his self-preservation instincts to find the child who is in danger and give over the ransom money, while dodging the police as well as the mafia types who are out for his blood. 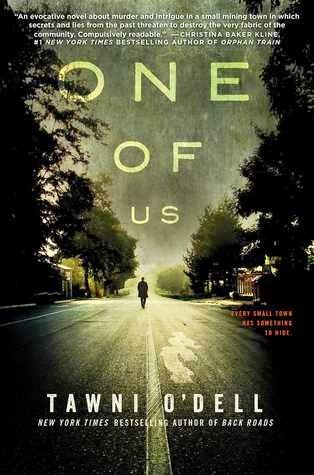 Recommendation: An engrossing thriller that is also a character driven novel. Tom is someone you find yourself rooting for in spite of his shady past, his vacillations, and his many other faults. Tom is an unlikely and flawed hero who is saved by acts of heroism. A satisfying and suspenseful read that I recommend with a 5.0 rating. Bestselling author James Hankins attended NYU’s Tisch School of the Arts and received the Chris Columbus Screenwriting Award. He has written three popular thrillers, each of which spent time in the Kindle Top 100. Brothers and Bones received a starred review from Kirkus Reviews and was named to their list of Best Books of 2013, while both Jack of Spades and Drawn were Amazon #1 bestsellers. He lives with his wife and sons just north of Boston. For more reviews, click on James Hankins TLC Book Tours TOUR STOPS. Thanks to TLC Book Tours and the author/publisher for an advanced reader's copy for review. 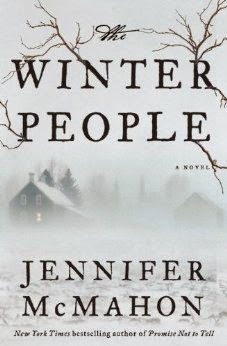 The Winter People by Jennifer McMahon, paperback published January 6, 2015 by Anchor. I happened to glance at a reader's rating and comments on Goodreads, and I didn't like what I saw. Strange supernatural elements! I don't read Stephen King. So what should I do re this book? Read it and shudder, have nightmares, or pass it on? 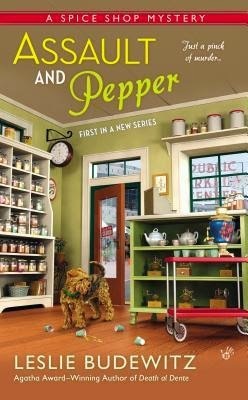 Assault and Pepper: A Spice Shop Mystery by Leslie Budewitz, first in a new mystery by Agatha Award-winning author of Death al Dente. To be published March 3, 2015 by Berkley. Set in Seattle's Pike Place Market. 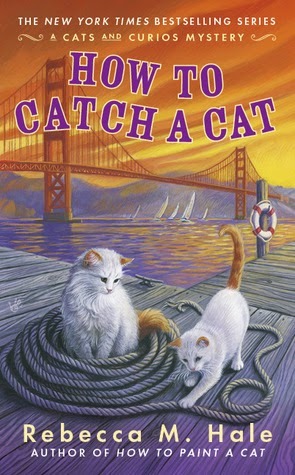 How to Catch a Cat: A Cats and Curios Mystery by Rebecca M. Hale, st in San Francisco. To be published March 3, 2015 by Berkley. 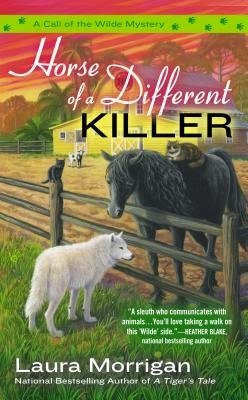 Horse of a Different Killer: A Call of the Wilde Mystery by Laura Morrigan, A psychic animal behaviorist who can communicate with animals. I read and reviewed A Tiger's Tale, the previous book in the series, and really liked it. I expect this one will be good too. 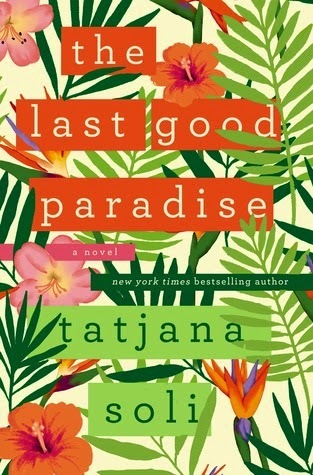 The Last Good Paradise by Tatjana Soli, published February 10, 2015; St. Martin's Press. A 7.1 tremor had been felt throughout the Southland that morning, the epicenter somewhere out in the hinterlands of Lancaster, unnerving residents, but the offices of Flask, Flask, Gardiner, Bulkington, Bartleby, and Peleg were seemingly immune. Ten floors up in the sybaritic conference room,the air conditioner purred; the air was filtered, ionized, and subtly scented of cedar. Ann looked out the plate glass windows at the expansive, gaseous hills of West Los Angeles as a contemplative might look out of her meditation temple. Smoke was opouring from a Spanish Colonial Revival house halfway up a nearby manicured hill, and as she watched, toylike, candy-colored fire engines curled up the narrow canyon roads to put it out. The glass was proofed; no siren sound reached them. There was always the unforeseen lurking. What if she and Richard drowned or got eaten by sharks? What if they were killed for the money? My comments: The above scenario in Los Angeles is what Ann, junior partner in a law firm, wants so desperately to escape. When her husband Richard and his business partner, Javi, must use all of their and her hard-won savings/earnings to pay Javi's exwife in her bid for extra alimony, Ann and Richard decide at the last minute to literally take their money and run, before creditors can withdraw the funds from their bank account. The couple flee the country with their money, leaving Javi to face his own music, and the two end up in a resort on a remote island in the South Pacific, where they however face new and challenging situations. Interesting premise - a new life in paradise, remote and private. Complications ensue with the manager of the resort and with the other tourists, however, and the plot becomes complex and a bit complicated. I personallyl prefer more streamlined storytelling, but this is an entertaining escape into a Gaugin like environment, but one with problems nevertheless. Richly atmospheric, the novel will be enjoyed by armchair travelers and those who love stories that show how complicated personal problems can unfold and yet be satisfactorily resolved. 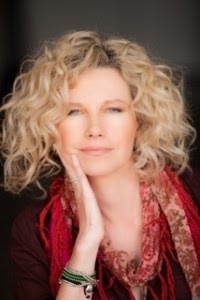 TATJANA SOLI is a novelist and short story writer. Her New York Times bestselling debut novel, The Lotus Eaters, was the winner of the James Tait Black Prize, a New York Times Notable Book, and a finalist for the LA Times Book Award. 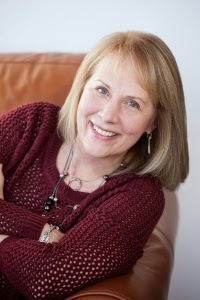 Her second novel The Forgetting Tree was also a New York Times Notable book . Her stories have appeared in Zyzzyva, Boulevard, and The Sun, and have been listed in Best American Short Stories. She lives with her husband in Southern California. Visit TLC Book Tours for other reviews of the book and a list of tour stops. Thanks to TLC and the author for an ARE of this book for review. Sunday Salon: Some New Cozies! I have a pile of new 2015 cozies for review/feature that are dying to be revealed on this blog, and here they are. Thanks to Penguin. 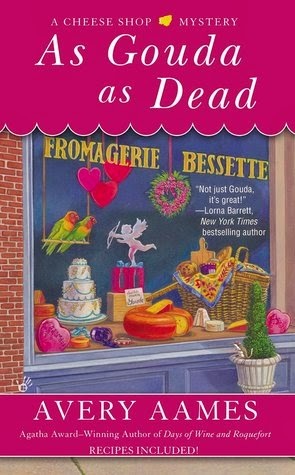 As Gouda as Dead (A Cheeseshop Mystery #6) by Avery Aames, published February 3, 2015 by Berkley. Providence, Ohio, is celebrating Valentine’s Day with weeklong events, including lovers’ baskets with heart-shaped cheeses at Fromagerie Bessette. Charlotte Bessette is finally about to marry handsome artisanal cheese farmer, Jordan Pace. But when a beloved bar owner is discovered murdered on Jordan’s farm, he wants to reschedule their wedding. Charlotte is heartsick and decides no one is ruining her wedding plans! 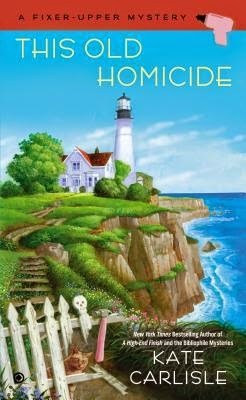 This Old Homicide (A Fixer-Upper Mystery #2) by Kate Carlisle, published January 27, 2015 by Signet. Contractor Shannon Hammer specializes in improving Victorian homes in Lighthouse Cove, California. Valentine’s Day is approaching, and Shannon is delighted to be friends with two handsome men. But after her elderly neighbor Jesse Hennessey fails to make his daily appearance at the local diner, Shannon finds Jesse dead—of an apparent heart attack—but she also realizes that his home has been ransacked. When another victim turns up dead, Shannon must find the killer before someone else gets nailed. Kate Haywood, the young queen’s personal musician, has been playing for summer parties where famed astrologer Dr. John Dee and his fantastic horoscopes are all the rage. 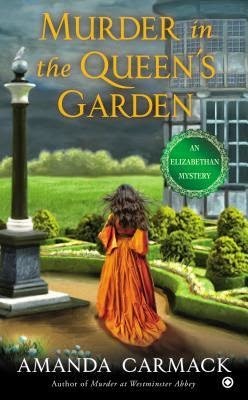 However, Dr. Dee fails to predict the discovery of a skeleton in the queen’s garden—and the victim’s identity will call his innocence into question. When the doctor’s pupil is the victim of a second murder, the queen enlists her trusted Kate to clear the doctor. 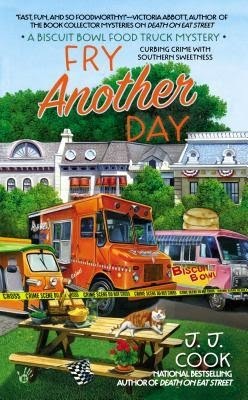 Fry Another Day (A Biscuit Bowl Food Truck Mystery #2) by J.J. Cook, published February 3, 2015 by Berkley. Zoe Chase, a Southern food truck chef who serves justice on the side. Zoe drives the Biscuit Bowl to Charlotte, North Carolina, to enter a nationally televised food truck race. Competition isn’t just fierce—it’s killer. As everyone gears up for the first challenge, another food trucker from Zoe’s hometown is found dead. When the body count rises, police begin to suspect her handsome attorney Miguel. Now Zoe must race to catch the killer before her attorney needs an attorney. I love the attractive covers and the clever titles of these cozies. Which one would you pick to read first? A Memory of Violets: A Novel of London's Flower Sellers by Hazel Gaynor, historical novel. Two sets of sisters' stories intertwine in this story. A blind young sister is lost on the streets of London, and another, who is crippled, is left behind in the village. The older sister tries in vain to find her lost sister and the other older sister has to deal with the past and the sister she was responsible for accidentally injuring. A moving, historical look at life for flower sellers in Victorian London. .
My Father's Wives by Mike Greenberg, contemporary fiction. A man questions his marriage as he tries to find answers by seeking out and visiting all six of his father's former wives. A unique look at love and relationships from a male point of view this time. 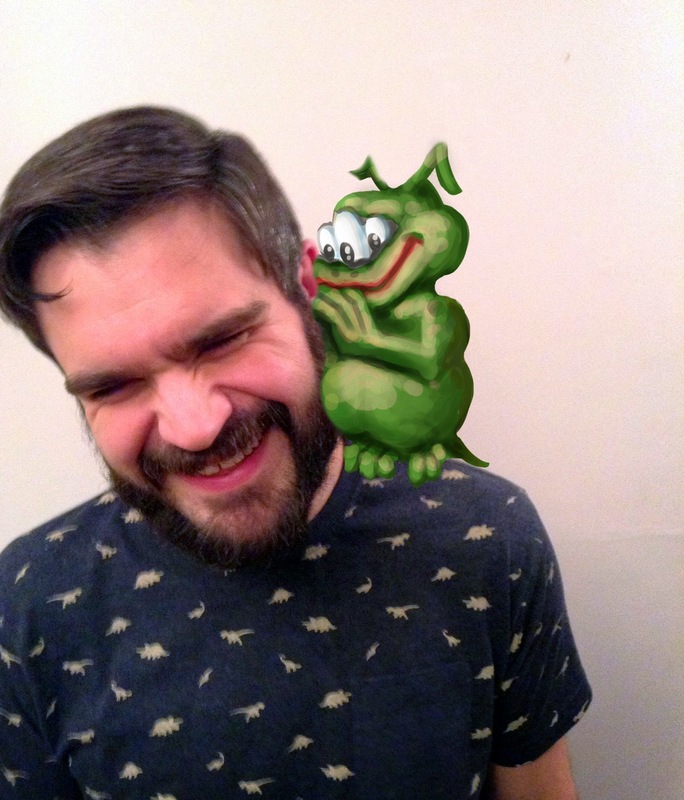 The Monster That Ate My Socks by A.J. Cosmo, children's book. "Come quick before he starts looking for you," my grandpa hissed.in a frantic whisper below my bedroom window, where he stood on an overturned wheelbarrow with outstretched arms while my father roared drunkenly downstairs. Since her release from prison almost twenty years ago, my mom has lived off and on with Tommy, but he can't make her stay wit him and I can't make her stay with me either and I wouldn't want to attempt it. 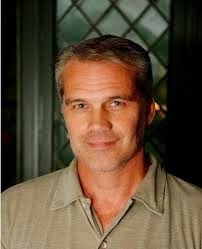 Dr. Sheridan Doyle, a forensic psychologist, is the go-to shrink for the Philadelphia District Attorney's office but beneath his Armani pinstripes, he's still Danny Doyle, the awkward, terrified, bullied boy from a blue-collar mining family, plagued by panic attacks and haunted by the tragic death of his little sister and mental unraveling of his mother years ago. Returning to his hometown in Pennsylvania coal mining country, Danny finds a dead body at the infamous Lost Creek gallows where a band of rebellious Irish miners was once executed. Strangely, the body is connected to the wealthy family responsible for the miners' deaths. Teaming up with veteran detective Rafe, Danny, in pursuit of a killer, comes dangerously close to startling truths about his family, his past, and himself. Would you read on, based on the excerpts? The Monster That Ate My Socks by A.J. Cosmo, Thought Bubble Publishing, third edition. Young kids with big imaginations will love this story of the socks eating monster who gobbled those missing socks. And the solution to having the sock monsters not starve while leaving the socks alone? Brilliant. Kids will love this book and the entire monster series. Thanks to iRead Book Tours and the author for a review copy of this book. First Chapter, First Paragraph is hosted weekly by Bibliophile by the Sea. Share the first paragraph of your current read. Also visit Teaser Tuesdays meme. 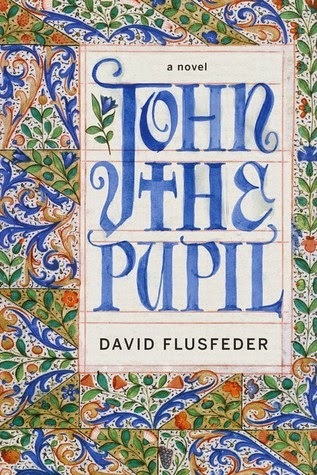 John the Pupil by David Flusfeder, to be released March 3, 2015; Harper. ...and see your face on the roof of the friary. Sometimes you would cast your eye down at us and we would scatter. More often, the face would disappear as if it had never been there at all, as if you were something we had conjured to frighten ourselves with. He was a prisoner, it was said, convicted of monstrous crimes. He was mad, he fed on the flesh of children, he wiped his mouth with his beard after he had done feasting. He was in league with the Devil, he was the Devil, performing unnatural investigations. Sometimes we would hear inexplicable thunder from the tower, a few claimed to have seen lightning on clear sunny days. Once, I myself,grazing my father's goats, I was touched by a rainbow, slowly turning, painting the field with brief marvellous colour. As I got older, I would go there less often. The grass grew higher by that part of the Franciscans' wall. Strange flowers bloomed. Animals refused to graze there. This novel is described as "...recounting the journey taken from Oxford to Viterbo in 1267 by John and his two companions, at the behest of the friar and magus Roger Bacon, carrying a secret burden to His Holiness Clement IV." What do you think: Would you read on? 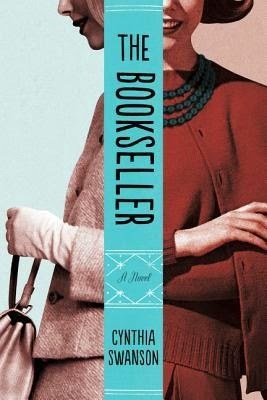 Kitty the bookseller wakes up one morning in another world, one in which she is married with children and living in a bigger home than her present one, in a nicer neighborhood and with a loving architect husband. Every time she goes to sleep, Kitty enters this strange world where she is known as the married Katharyn, her more formal birth name. Each time she wakes up from her dream, she is once again Kitty, the single owner of a small bookstore in Denver, which she operates with her best friend. Frieda. Kitty becomes conflicted between her two lives, both of which seem very real when she is inhabiting them. Which one will she choose in the end, and can she really choose? I was persuaded by her dilemma to read the book to the very end. It was an enjoyable adventure. An entertaining story and premise, with likable and believable characters showing us the power of our dreams and wishful thinking and how they can help us resolve inner conflicts. Kitty and her alter ego Katharyn are both intriguing. Get ready for a surprise ending. Thanks to Harper Collins for a proof of this book for review. 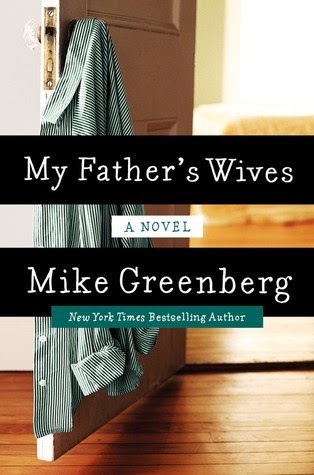 My Father's Wives: A Novel by Mike Greenberg arrived from William Morrow Books for review. It's a January 2015 publication. The story of one man's search to understand himself, his marriage, and his father. On this quest for understanding—about himself, about manhood, about marriage—Jonathan decides to track down his father’s five ex-wives. His journey will take him from cosmopolitan cities to the mile-high mountains to a tropical island—and ultimately back to confront the one thing Jonathan has that his father never did: home. 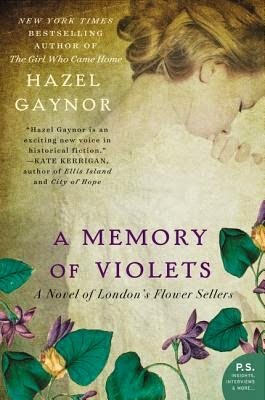 A Memory of Violets: A Novel of London's Flower Sellers by Hazel Gaynor was published February 3, 1015 by William Morrow. In 1912, twenty-year-old Tilly Harper leaves her native Lake District for London, to become assistant housemother at Mr. Shaw’s Home for Watercress and Flower Girls. For years, the home has cared for London’s flower girls—orphaned and crippled children living on the grimy streets and selling posies of violets and watercress to survive. Tilly discovers a diary written by an orphan named Florrie—a young Irish flower girl who died of a broken heart after she and her sister, Rosie, were separated. Tilly sets out to discover what happened to Rosie. But the search will not be easy. Full of twists and surprises, it leads the young woman into unexpected places, including the depths of her own heart. Looking forward to reading them both. What's on your reading list this week?